I have had this one particular wish since I don’t even remember, but it’s there. This wish is a trip to Paris including walking through Champs Elyees with my head held up high and entering the LV majestic shop and buy one of their coveted bag …. I am still hoping that this dream of mine will one day come true…. that is one of the reason I play the super five lottery religiously, besides reasons. So no need to state the obvious by for my Spotlighting edition I will be featuring Louis Vuitton, one of the world’s leading international fashion houses selling its products through standalone boutiques, lease departments in high-end department stores, and through the e-commerce section of its website. The brand and the famous LV monogram logo are among the world’s most valuable brands estimated to be worth over 24.3 billion dollars. Since its founding in Paris in 1854, Louis Vuitton has catered to the general throng of well-heeled every women, empresses, explorers, and magazine editors. What was once a tiny little Parisian luggage shop is now the multifaceted jewel in the crown. 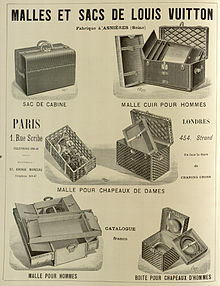 Since the 19th century, manufacturing of Louis Vuitton goods have not changed: Luggage is still to this date made by hand. Contemporary Fashion gives a preview of the creation of the LV trunks: The craftsmen line up the leather and canvas, tapping in the tiny nails one by one and securing the five-letter solid pick-proof brass locks with an individual handmade key, designed to allow the traveller to have only one key for all of his or her luggage. The wooden frames of each trunk are made of 30-year-old poplar that has been allowed to dry for at least four years. Each trunk has a serial number and can take up to 60 hours to make, and a suitcase as many as 15 hours. Until the 1980s, Louis Vuitton products were widely and exclusively sold in department stores like Neiman Marcus and Saks Fifth Avenue. Today, Vuitton products are primarily available at authentic Louis Vuitton boutiques, with a small number of exceptions. 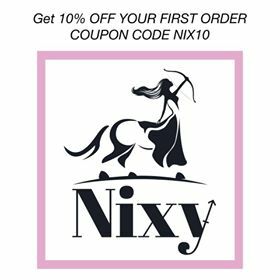 These boutiques are commonly found in upscale shopping districts or inside luxury department stores. 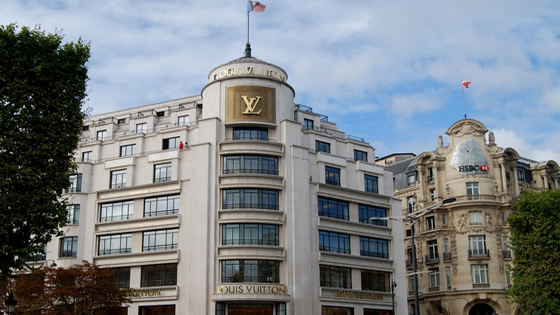 The boutiques within department stores operate independently from the department and have their own LV managers and employees. LV has recently launched an online store, through its main website, as an authorized channel to market its products. Louis Vuitton is also one of the most counterfeited brands in the fashion world due to its image as a status symbol. Ironically, the signature Monogram Canvas was created to prevent counterfeiting. In 2004, Louis Vuitton fakes accounted for 18% of counterfeit accessories seized in the European Union. The iconic bags of Louis Vuitton include the Speedy bag and Neverfull bags. Each season Louis Vuitton produces rare, limited edition bags that are generally only available by reservation through larger Louis Vuitton stores. The company’s operating system was substantially updated in 1997, when Marc Jacobs, the downtown New York designer best known at the time for elevating the grunge look, was hired as creative director. For the next sixteen years, Jacobs was charged with creating not just apparel for Vuitton, but accessories, too (from handbags to, later on, watches and jewellery). Before long, the brand was not only moving with the times, it was shaping them. A-listers were brought in to the design atelier, a troupe of Hollywood stars including the like of Jennifer Lopez, Uma Thurman and Scarlett Johansson to name a few, were tapped by Jacobs to represent the company in its advertisements, and world-renowned architects hired to dream up new retail spaces. Jacobs’s out-of-the-box thinking stoked unflagging interest in the brand. In October 2013, during Paris Fashion Week, the house announced the departure of Jacobs; the spring 2014 runway presentation was his swan song. Reports said that he was leaving to focus on a public offering of his own namesake label. Critics sent up a wail of lament: It was everyone seemed to agree, the end of a transformative era. Just a few weeks later, though, the tears changed to cheers when it was confirmed that the French Nicolas Ghesquière would lead the mighty fashion superpower into a new era. The new alliance was formidable. Ghesquière’s retro-futuristic manifesto at Balenciaga had earned him a reputation as not just a highly original thinker but also one of his generation’s brightest lights. Upon his appointment, he said “Louis Vuitton has always incarnated for me the symbol of ultimate luxury, innovation, and exploration. We share common values and a vision”.